Using Pulse and Negative pulse technology ( 10% negative pulse ) to avoid battery overheating and polarized during fast charging, Significantly increasing battery pack's cycle life. 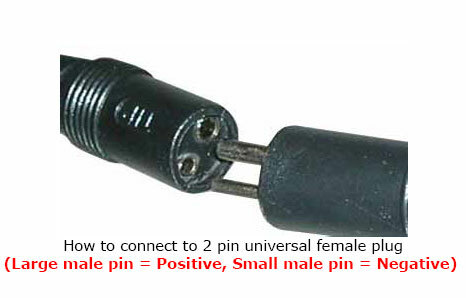 Dimension(LxWxH) 3.2"x 2.1" x 2.8"
For example; If the pack was two pin universal female plug, must plug Large male pin to Large female pin, Small male pin to Small female pin . Option 2: CU-J107, 5.5 x 2.1mm Male barrel connector. This charger require a custom label to add on! 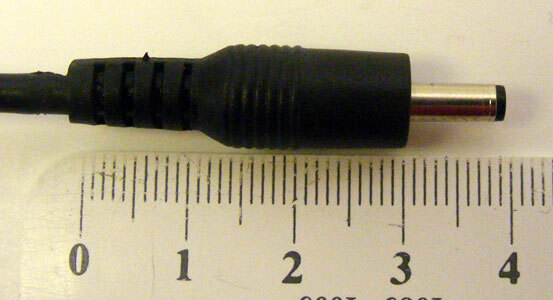 Option 4: CU-J566, 3.5x1.3x9.0mm Male Plug. Minimum requirement: 100pcs .